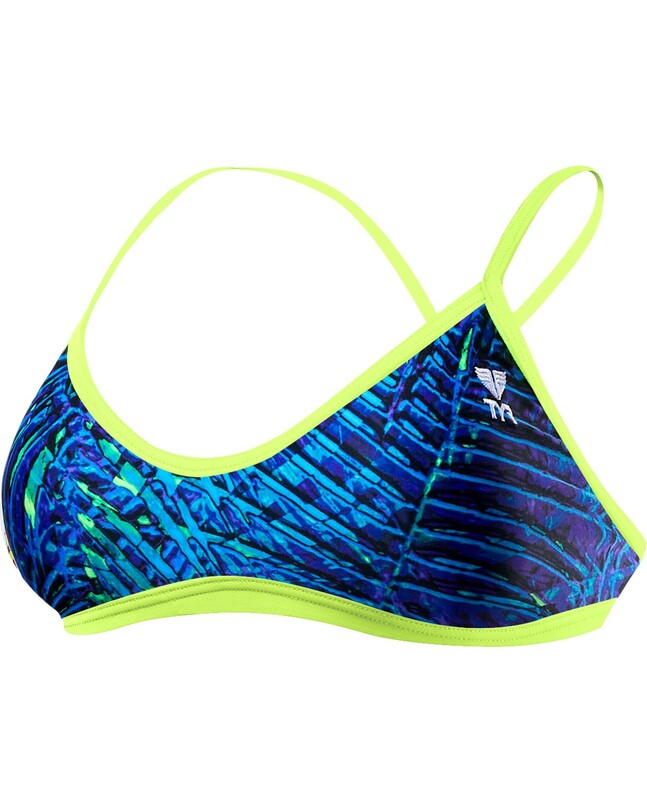 Take on every challenge in the TYR Women’s Kauai Trinity Top. Designed for today’s athlete, the BTKAU7A boasts a 100% polyester construction, making it nearly 20 times stronger than traditional swimwear. So, whether your training takes you to the pool or the beach, you can be sure TYR’s Durafast One® fabrication will provide both a secure fit and fade-free color. Featuring a low neckline, sleek/flexible straps and open triple-bound X-back, the Trinity top is ideal for athletes who want comfortable coverage during every swim. Our daughter is an XS. Since this looked small, I got her a Small. She couldn't get the small over her shoulders. Very cute. Sized way Too small. I have had very good luck buying Tyr swim suits and wanted a top I could use for snorkeling, paddle boarding, kayaking and general swimming. Before buying this top I reviewed the size information. The size scale for this product is way off. I am 5' 1" 118 pounds with an athletic build. For my height and wight, my chest size is normal, not tiny and not huge. Knowing that Tyr can run small I bought a size large and it fit like a size xs. The size large is supposed to fit size 10/12 women. That is not the case. The color and fabric were great but the fit is not even close to the published size scale.